PE is on a Thursday, please remember to have PE kit and correct footwear in school. Weekly spelling tests will take place on Fridays. Homework will be sent out on a Friday and should be returned by Wednesday morning. Library books are changed every Tuesday. Please encourage your child to read at home as much as possible and talk to them about what they are reading. French takes place every Wednesday. We have an exciting half term ahead of us with lots to fit in. In Maths we will be starting by focusing on multiplication and division, particularly written methods for larger numbers. We will then be looking at fractions, decimals and percentages. If you could support your child in learning their times tables at home this would be a great help to them in class. In English we will be working on legends, looking closely at the Legend of King Arthur and will be completing the topic by writing our own legends. The book we will be reading together to support this topic is King Arthur High King of Britain by Michael Morpurgo. 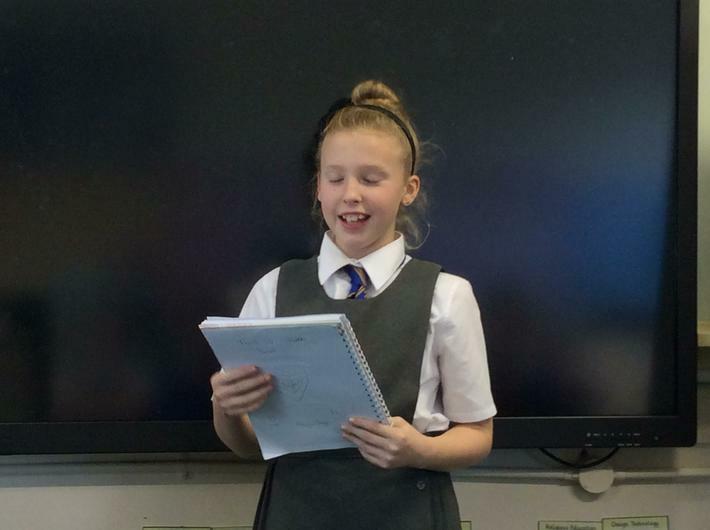 We will then move on to work on poetic style, looking at a variety of poetry in different styles and creating our own. Our Science topic this term is forces which will include learning about gravity, friction, air resistance and water resistance. In RE (Come and See) we will begin by looking at festivals in Judaism and then will prepare for Christmas by reflecting on hope and advent. Our Geography topic is water and we will be learning about the water cycle as well as important issues such as the supply of clean, drinkable water and the problems of floods and droughts. Our PE topic this half term is dance and the children have already made a great start looking at dance moves that might suit a James Bond movie. We are looking forward to a half term full of learning and enjoyment in Year 5. Reminder for parents - We will be going swimming this term every Tuesday morning. Please remember to bring swimming kit. Pizza Making at Frankie and Bennys - 27th January 2016. Year 5 had a well deserved treat making (and enjoying!) their own pizza today at Frankie and Benny's. Congratulations to the whole class on winning the attendance prize for the Autumn term for the best attendance in the school including a week of 100% attendance and punctuality! The children have a fantastic attitude to attendance and I am so glad they won and could enjoy this treat. 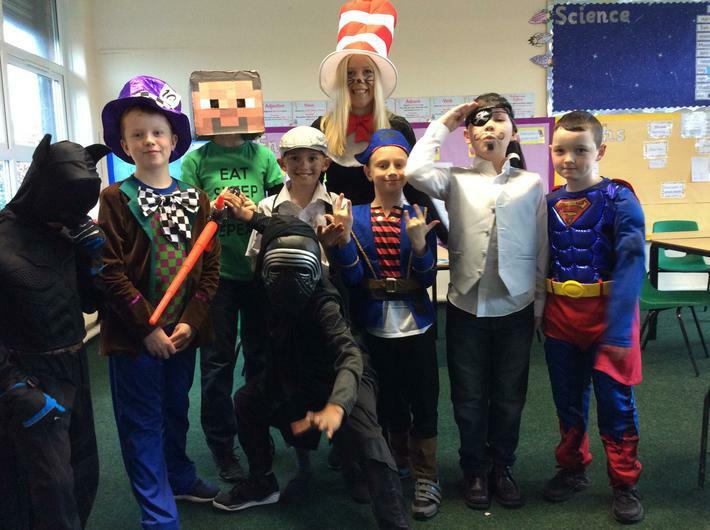 The class made a fantastic impression on the staff at Frankie and Benny's and I was really proud of them. 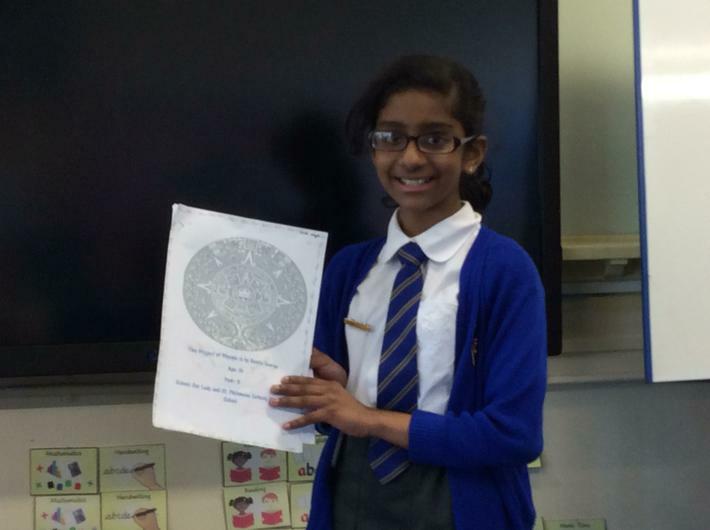 They also had very interesting and imaginative designs for their pizzas and had lots of fun creating them. Thank you to all the parents who attended our Roald Dahl themed activity afternoon, the children really enjoyed the story telling and crafts. The children also spent time this week reading to children in Year 2. They carefully selected books from the library and shared these with the younger children reading with lots of expression. Both classes really enjoyed the experience. 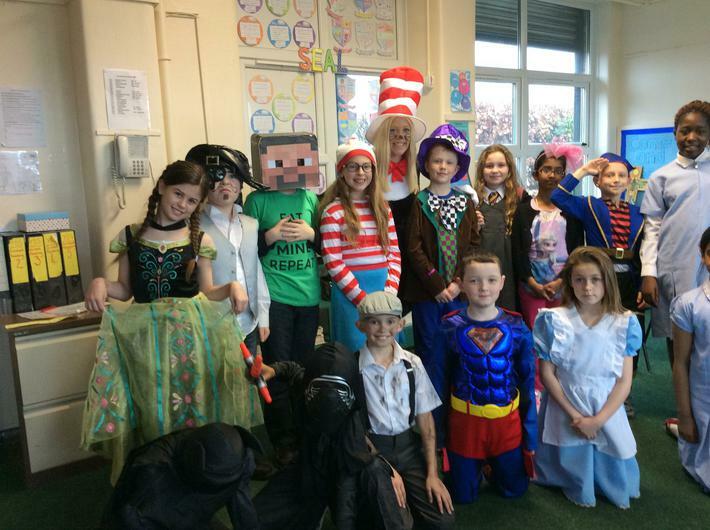 We had a fantastic time celebrating World Book Day in Year 5. 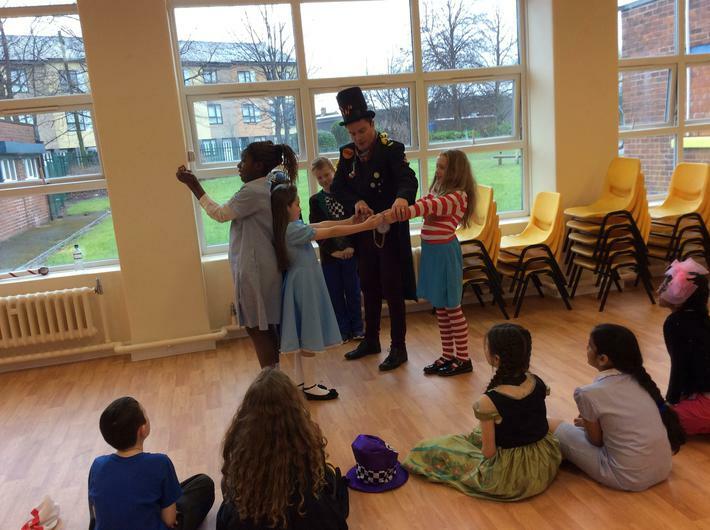 The children's costumes were wonderful and they were enthusiastic all day participating in a special assembly and a quiz all about books. 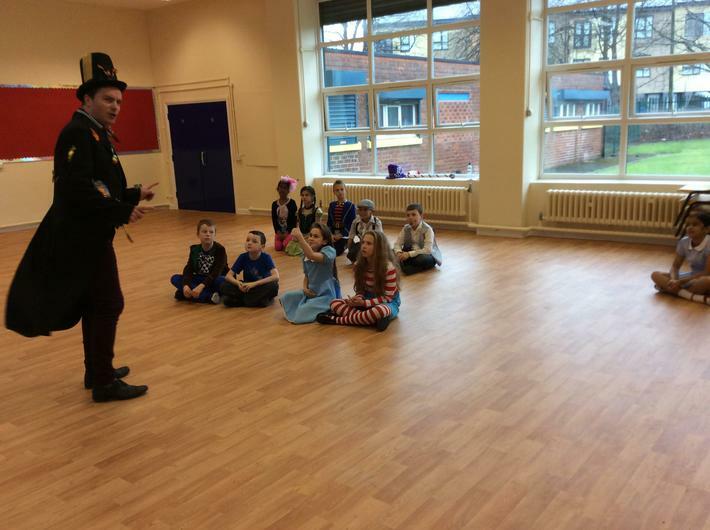 We had an exciting visit from Willy Wonka who got us all involved in lots of games and activities. 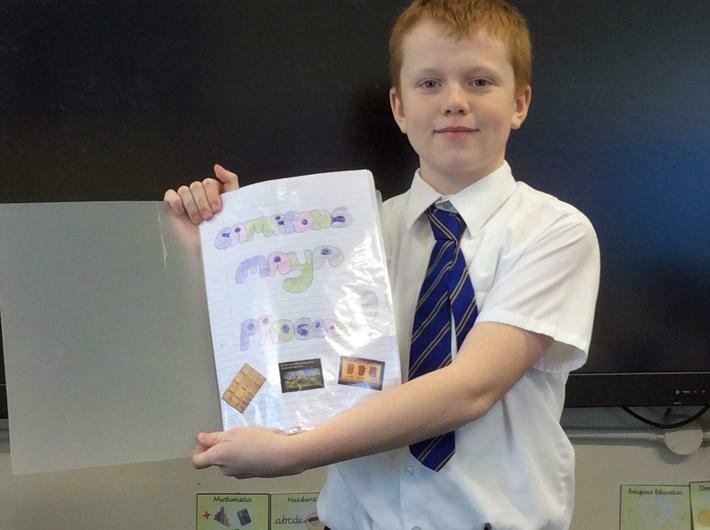 Well done to all of the children who completed projects at home for our History topic of the Maya. 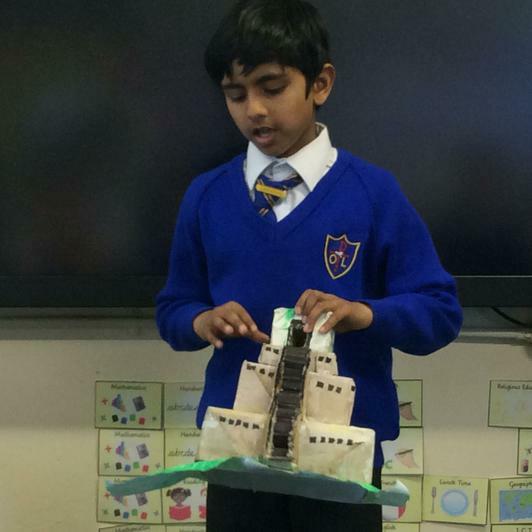 The projects were all different and the children had clearly worked very hard on them and completed lots of research. 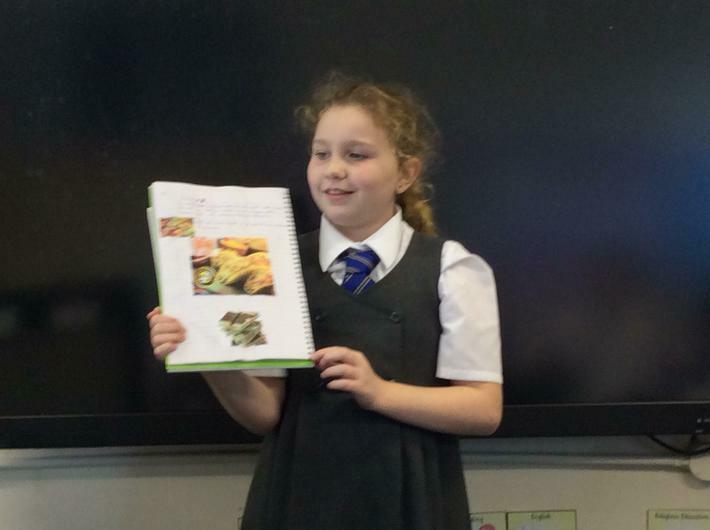 The children presented their projects to their class mates with lots of confidence and we all learned a lot from each other. Thank you very much to parents for their support with this. Congratulations to Year 5 on completing their swimming this term and earning their certificates. There was a huge improvement in the children's swimming and the final distances achieved showed how much the children had progressed since we started swimming in January. The children worked very hard to achieve targets they had set themselves and really impressed their swimming coaches. Well done everyone! Thank you to all the parents who attended our Easter service this week. The children worked really hard on the performance and the reading, acting and singing was wonderful. A big thank you to Jacinta for playing the flute so beautifully and to all of the children who made us so proud with their efforts. Wishing you all a Happy Easter, I hope you have an enjoyable break. Our Geography topic this term is River Studies and we were lucky enough to visit the River Alt in Croxteth Park to carry out a river study led by one of Liverpool's environmental advocates Paul. Paul was blown away with the children's knowledge and the specialist geographical vocabulary that they could use to describe the river which proved how well they have been working in Geography lessons. He was so impressed he said we might just be the cleverest class he had ever worked with! We learnt a lot about the river, measured its speed and saw the wildlife that lives in the river up close. We had a fantastic day and we will be continuing our learning back in the classroom. Our topic for Science this half term is life cycles and we began by learning about the life cycle of flowering plants. To see part of this life cycle in action we have planted our own sunflower seeds and broad beans and we are taking very good care of them to encourage them to grow. We also set up an experiment by planting different parts of a geranium plant to investigate whether we could grow a new plant without using a seed. We have also be learning about the life cycles of different animals and to support this learning we visited the farm in Croxteth Country Park. Our guide taught us lots about the animals on the farm and we learnt lots of interesting facts linked to life cycles. We also got to experience feeding the animals including giving milk to some of the new lambs. 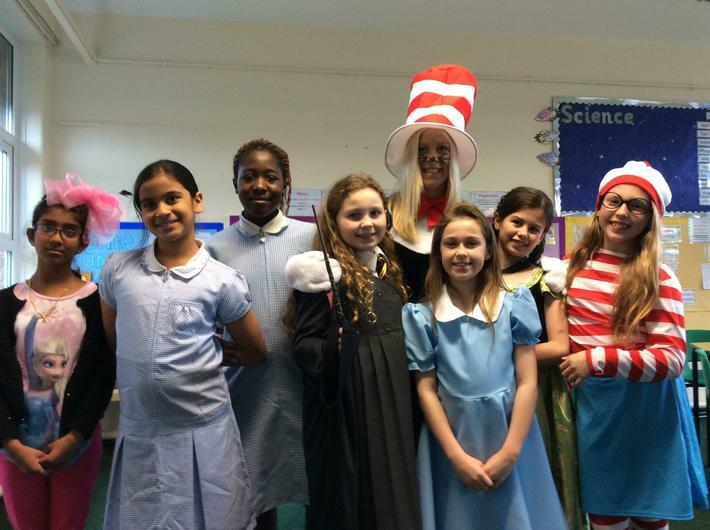 We have had a very busy and fun first week back at school in Year 5! On Tuesday we had two visitors in one morning. The POP project visited our school and put on a special assembly for the Juniors. We learnt all about British values such as democracy and mutual respect as well as some famous Britons. Through music and dance we went on a tour of the countries in Britain and learnt a lot while getting involved very enthusiastically. Our second visit was from Professor Fluffy and Emma from the University of Liverpool. We learnt lots about life at university and had lots of our questions answered, while enjoying some fun activities. On Wednesday we were very lucky to be able to join Year 6 on a trip to Aigburth Cricket Club to watch the qualifying matches for the Liverpool Hope University International Tennis Tournament. We started our morning with a fantastic tennis session. The children were taught tennis skills by a professional coach and had lots of fun developing their new skills and working together. We followed this by watching the men's qualifying match with front row seats in the stadium. It was a very exciting match and the players were fantastic. The children were excellent supporters of both players which they really appreciated. Our final session of the day was rugby training with some very fun rugby coaches. The children spent a very energetic afternoon enthusiastically joining in with the rugby games and competitions. Another exciting trip to Holy Name followed the next day for the military school. We met soldiers and impressed them in drills before taking on four different team challenges. We worked in groups made up of children from our class and Year 3 and demonstrated fantastic team working and communication skills as well as great energy completing the assault course. 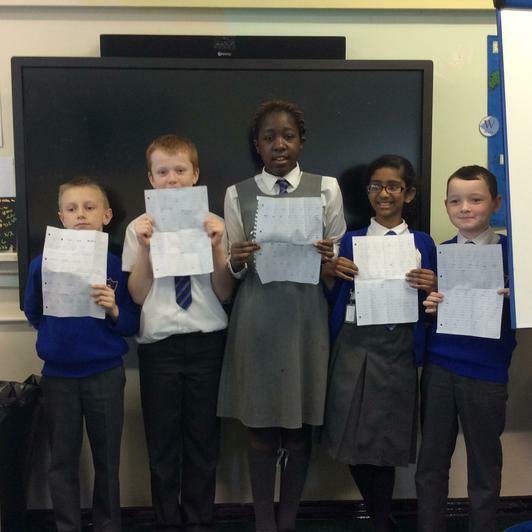 Year 5 were chosen to help Miss Doyle run our fantastic Maths parties in school. On Friday the class helped at the KS1 party, preparing the activities and supporting the younger children. They sat a fantastic example and lots of teachers commented on how well they looked after the infants. On Monday they then helped to run the KS2 Maths party, explaining the rules for all of the activities and keeping score. 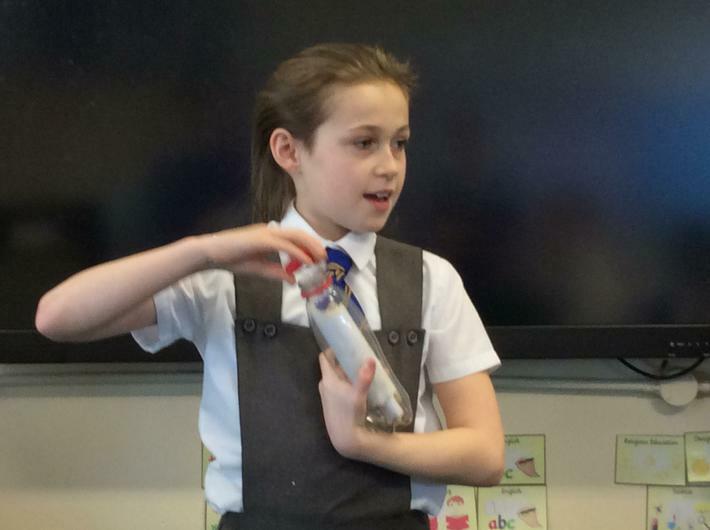 They were fantastic organisers and encouraged the other children really well. Our newly formed football team took part in their first competitive matches against other schools today. The boys took part in a 6 a side tournament at LFC academy and did really us proud. They had a great attitude and worked hard together, developing as a team as the day went. Well done to the three boys from our class that were involved and represented our school really well. We have just had our final visit of the year from Compact.The children worked in three teams to create their own business, designing and marketing a product. 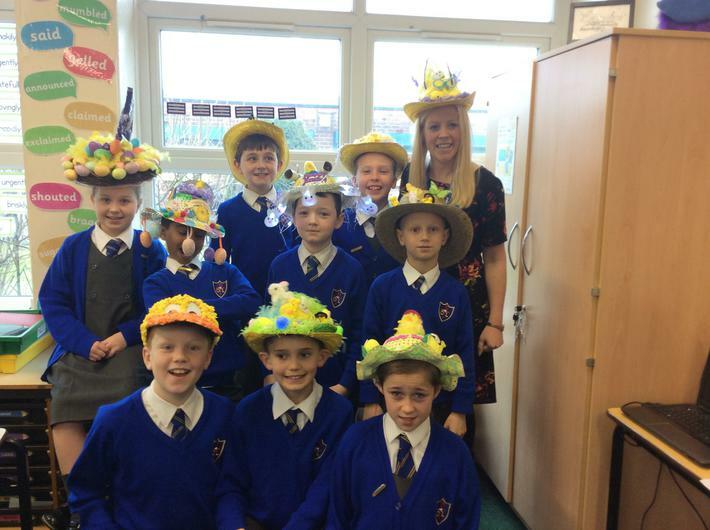 This time the children created hats, the themes they decided upon were very original - the sky, the environment and the Beatles and they created fantastic hats to represent their themes. Our visitor was very impressed with the children's creativity and excellent team work. 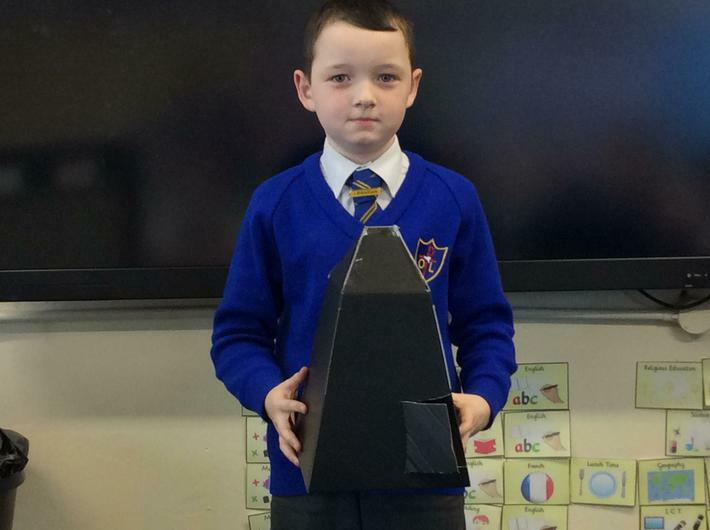 We had a fantastic few days focusing on Science this term. We started with a forensic Science experience and the children were fantastic at finding clues and solving the crime. We used these skills to do some crime solving in our Maths lessons too and even wrote a newspaper report all about the crime we solved! We also did some experiments in class, making predictions and talking about why the different things happened and it has made us even bigger fans of Science.